New generation Hustler X1 zero-turn mower. 22 hp Kawasaki FX691 engine. 48" VX4 side-discharge deck with rubber chute. 18,580 fpm blade-tip speed for superior cut. 10.3 gallon fuel capacity with built-in sight line. Wide stance, low center of gravity for stability. Cutting heights: 1" to 5.5" in 1/4" increments. 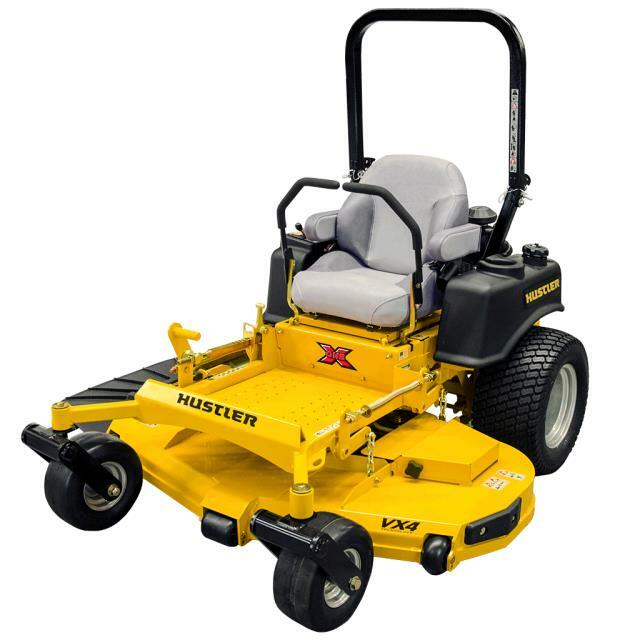 * Please call us with any questions about our mower hustler x1 48 inch deck rentals in Oak Grove MO, Blue Springs MO, Independence MO, Lexington MO, Odessa MO, Independence MO and Western Missouri.